H uge Versace announcement following up with the musician 2 Chainz, to preview its up coming collabo. After a successful run of the Chainz, Links, sneaker collaboration with 2 Chainz the brand will reup with a thrilling sequel to last year’s release. The second season of Chain Reaction sneakers made a debut in Milan last week featuring a brand new hightops (high sock) version combined with the original silhouette. The sneaker has not only been an inconic release for the musician but also for the sneaker culture who have highly supported the release. 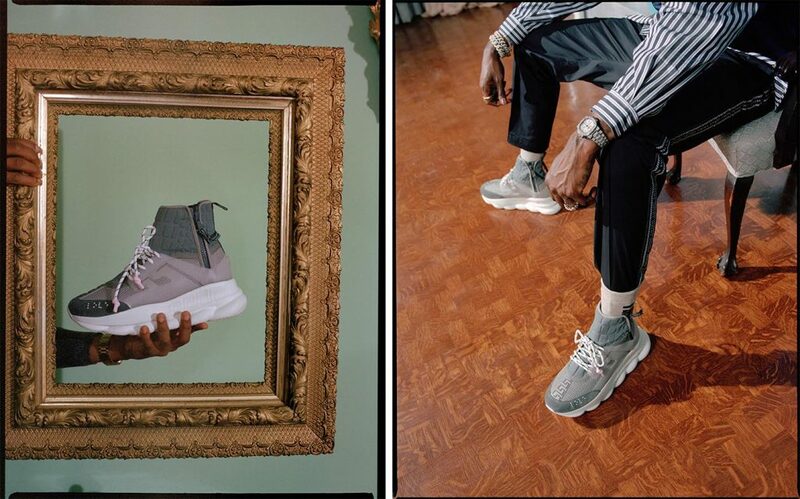 The initial debut comes in a moderate but variations of grey, on the feet of 2 Chainz. Titled “2 Chain Reaction” the sneaker will compliment the inclusion of the additional men’s capsule apparel. 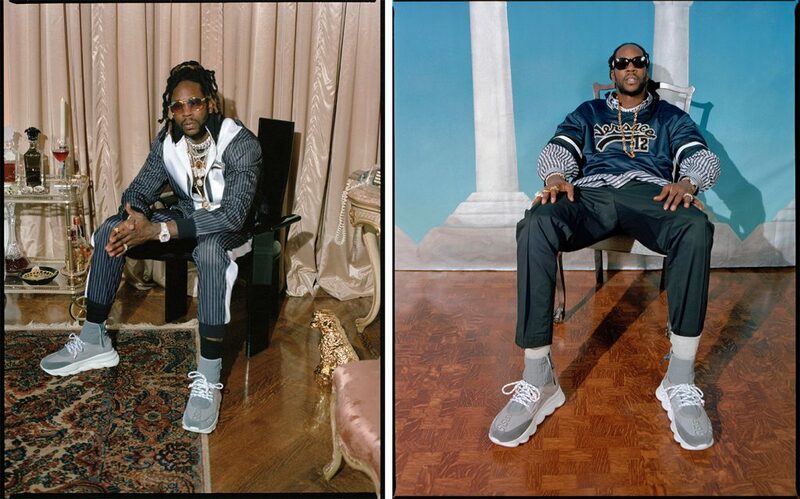 Check out some images the shoes as modeled by 2 Chainz below announced by 2 Chainz to make a February debut in Chainz’ hometown ATL.